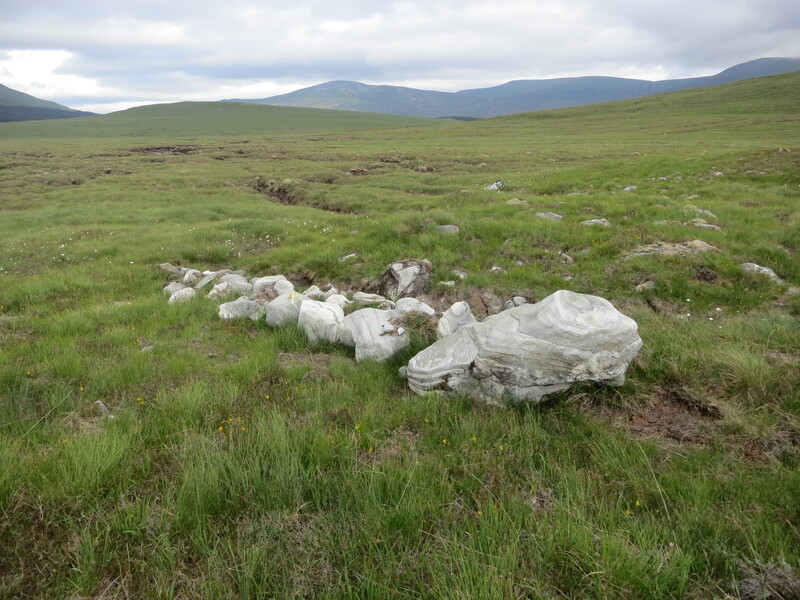 The Walking Library was invited to join the Royal Scottish Geographical Society’s “Stories in the Land” project. 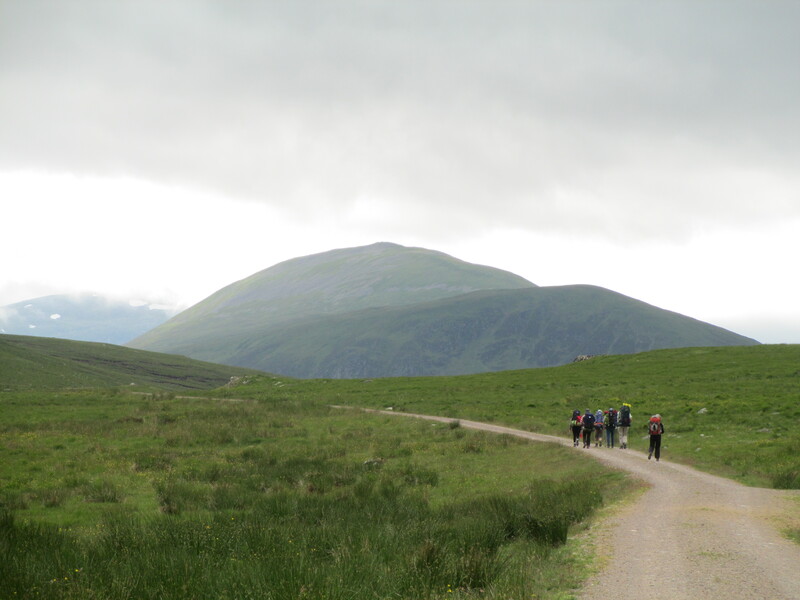 From 15th to 21st July 2013, the RSGS organised the Bedrock Walk – a walk made by a small group of people, journeying from Dalwhinnie to Glen Nevis, following the old thieves road. The thieves road was used for centuries by cattle thieves, who made their way south and west from the Central Highlands of Scotland. 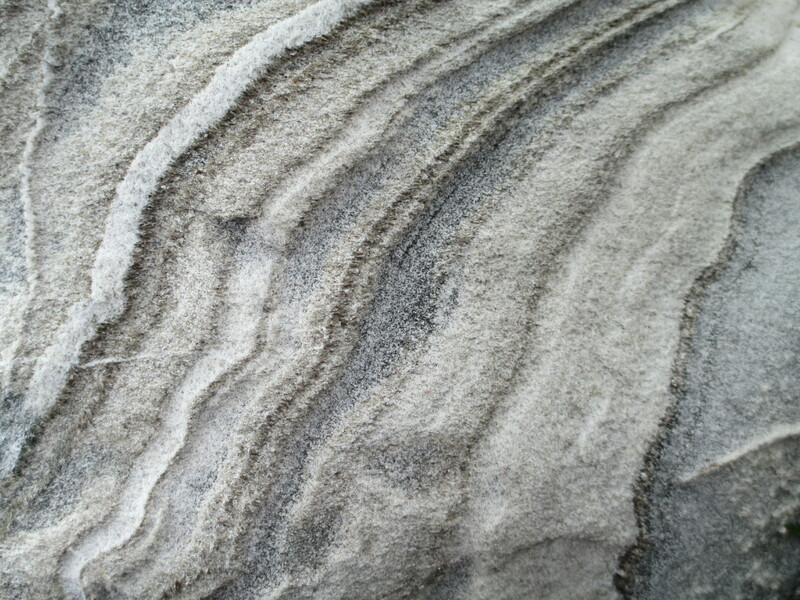 As the title of the walk suggests, we were encouraged to think about what lies underfoot, from the deep time of geology, and the fantastic stories contained within those sedimented layers of hard rock, to the tracks laid by the feet that pass over them – human and animal alike, to the ephemeral stories that endure in their passing down – from mouth to ear and from stepping in another’s footsteps. Travelling through time as much as across land. Aware of the distances to be traversed, with everything required for the journey carried on backs, and the presence of only a single librarian (Dee), the Walking Library created its own books for the journey – two slim Bedrock Walk volumes packed with poems and excerpts from novels, short stories and essays. Everything carried related to rocks or thieves – from Simon Armitage’s Stanza Stone Walks to Alyson Hallett’s The Stone Library, from Charles Dickens’ Oliver Twist, Daphne du Maurier’s Jamaica Inn and Ali Baba and the Forty Thieves to Linda Cracknell’s The Beat of Heart Stones. The volumes were shared amongst the group during the evenings, when we camped out. A third book was created after the walk, capturing something of the group’s various experiences, with new poems written by Linda Cracknell and Gerrie Fellows and original artworks by Malize McBride and Catriona Gilbert. 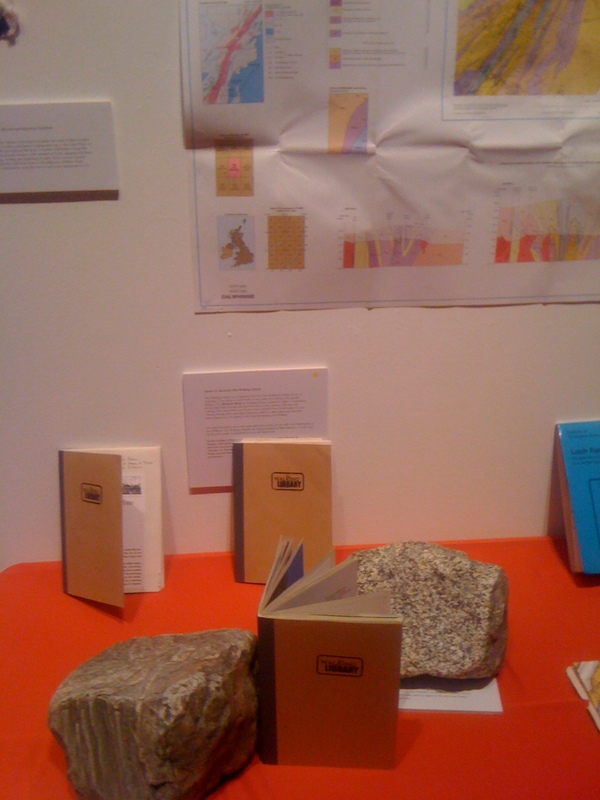 The Walking Library’s Bedrock Walk (Volumes I, II and III) has been donated to the Royal Scottish Geographical Society. The volumes were displayed as part of The Stories in the Land Exhibition at the Scottish Storytelling Centre in Edinburgh, during the Scottish International Storytelling Festival (18 Oct – 2 Nov 2013).